An Aircraft Carrier at 8700 Feet! Hi Folks, I’m just back from an evening yoga swim sesh at the western edge of California. Did you know that the water warmed up a little? It’s beautiful down there and the tranquility factor is kicking in. I had a fantastic time last week in Telluride hanging out with the Dianne Reeves group, meeting up with some old and new friends. What a magic place it’s a big time mountain town with free gondola rides and endless trees mixed in with an energetic main street with great food and loads of live music. The airport claims to be the highest elevation landing strip in the U.S. and it’s a lot like landing on an aircraft carrier small planes wobbling in the air looking for some earth to rest on. For the first day and a half I had a constant headache which was probably from the thin air. It went away just in time for the concert and the show was a good one with ultimate Dianne vocals and an enthusiastic audience. After the hit I went into town and caught a set of the amazing Raul Midón playing guitar and singing. Check him out  he’s got a guitar technique that grooves deep and beautiful singing voice. Unbelievable! 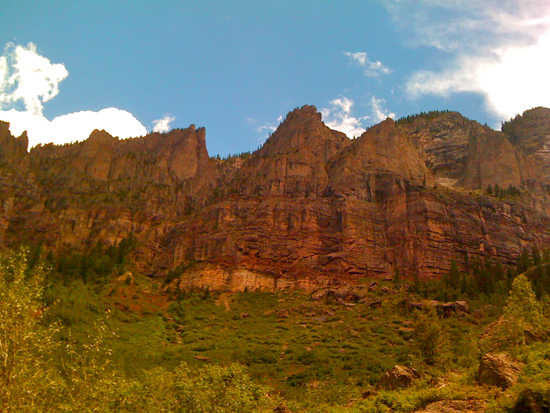 Telluride sits in a box canyon surrounded by these cool colored mountains. Rock on! Even though my headache persisted I still insisted on gaining more elevation to see if maybe I could just have it explode off my shoulders. Brains are highly overrated! 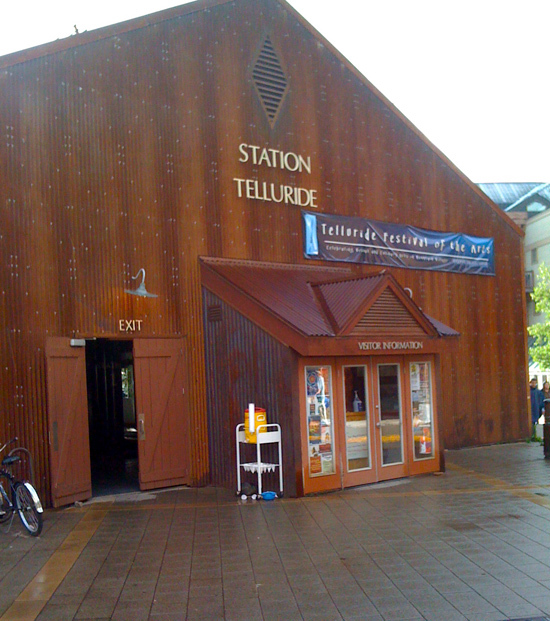 This is the gondola launching station in Telluride. 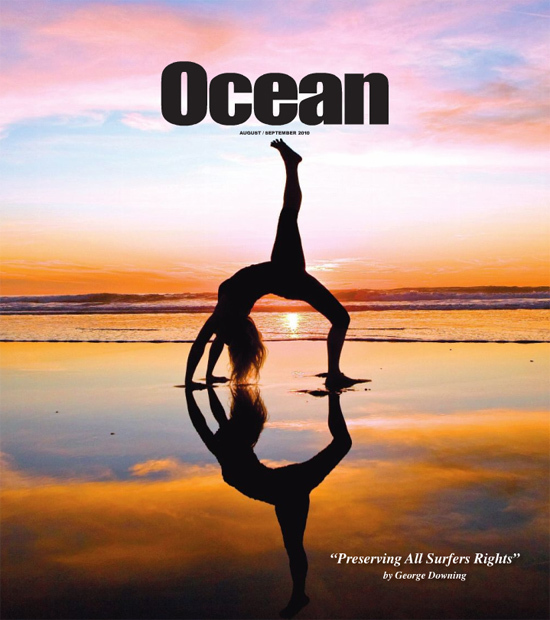 Have you ever read Ocean Magazine? 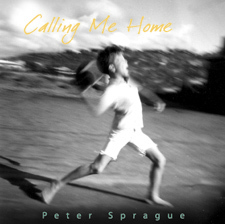 A friend of mine puts this beautiful publication out and in this month’s issue he highlights the release of my CD “Calling Me Home.” If you want, check it out here and also read the story “Fun Little Waves” which is an account of some fellow going out surfing in Hawaii for the first time. He starts out with little waves and then the ocean starts going nuts, getting bigger and bigger by the minute, until it gets to the point where he’s paddling for his life to stay alive. I was in Kauai once when this happened but luckily I got out of the water before it got too radical. You don’t mess with the mother, that's what I learned! For this week I’m thrilled to be back in the loop over at the Roxy in Encinitas on Thursday night. I’m keeping the solo guitar world cooking along and I’ve got 2 new tunes that I’ve worked up to launch into the air. Blast off! 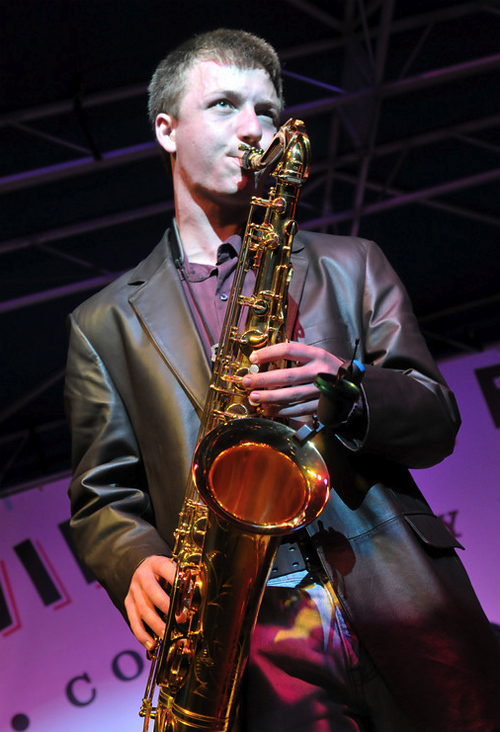 On Saturday night I’m playing a show with young saxophonist Chris Burgess. I first met Chris at the UCSD Jazz Camp a few years back and he was a real highlight. Fast-forward to a recent house concert that we played in Encinitas, Chris turned up and sat in on a few tunes with us. He ripped it up! He’s getting ready to zip off to Boston to attend the Berklee School of Music with a full scholarship. He’s a devoted muso and has a great vibe and attitude. I predict he’ll do good things in the world of music. For this week’s concert Chris and I will play with bassist Gunnar Biggs and Duncan Moore on drums. The concert will be at the old Dizzy’s location and I know it’s gonna cook. Hope to see you there. Young man on the tenor  Chris Burgess. Rounding out this week will be a Sunday afternoon hit at the Rancho Bernardo Winery with Lisa Hightower on vocals and Gunnar on bass. This spot has a cool vibeit’s a taste of old time California rustic still holding on to open space and classic wooden structures. Can’t wait! Looking off into next week, I’m heading out of town again and this time to Missoula, Montana. Pianist Geoffrey Keezer played this gig in Missoula and said I needed to go there someday. That someday is coming up and if you know any folks there, let them know that the twin neck and I will be bringing the Encinitas music vibe east. Cool beans! Also next week will be a special concert with my String Consort group at the Tango del Rey in Pacific Beach. I think the band will sound good in that room. Look below for the details. That’s the story and now I’m off to practice those new tunes a little more.